Commodity Trading News And Technical Analysis Reports. 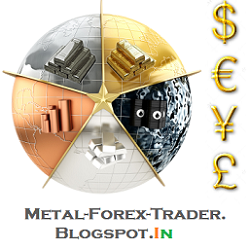 : Gold, Silver, Copper, Crude oil and Natural Gas. Technical Analysis MCX. Gold, Silver, Copper, Crude oil and Natural Gas. Technical Analysis MCX. The MCX gold contract fell sharply by 3.8 per cent last week. The contract has closed below the significant 200-day moving average which is currently at Rs 28,515. The short-term outlook remains weak and the contract can fall further to test its next important support at Rs 27,500. There is a high probability for this support to hold, and the contract can see a temporary relief rally to Rs 29,500. But, if Rs 27,500 is broken, then the contract can decline further to Rs 25,500. For the medium-term, Rs 29,500-30,500 is a strong resistance zone. However, a fall to Rs 25,500-25,000 looks more likely. The MCX silver contract fell 2.8 per cent last week. The immediate outlook is bearish, and the contract can fall to Rs 45,500-44,500. After finding support at this level, the contract can see a corrective rally to Rs 48,500. Short-term resistances are at Rs 48,500 and Rs 50,000. The medium-term outlook is also bearish with strong resistance in the Rs 52,000-53,000 region and the contract can fall to Rs 41,500-40,500 in the medium-term. 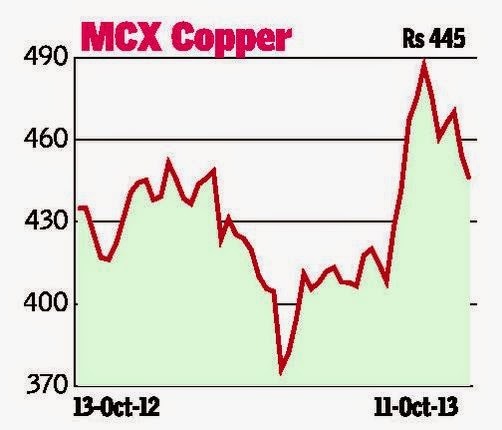 As predicted in this column last week, the MCX copper contract has broken its Rs 450-470 range on the downside, thereby giving way for a further fall. Any rise from current levels could be restricted at the support-turned-resistance level of Rs 450. On the downside, the contract can fall to Rs 440-430 in the short-term. The medium-term outlook is bearish with strong resistance in the Rs 460-470 region. Medium-term support is in the range between Rs 400 and Rs 390 which can be tested. Only a strong break above Rs 470 will turn the outlook positive. The MCX crude oil contract is down for the sixth consecutive week and has closed lower by 2.8 per cent for the week. Last week’s prediction in this column that the important support at Rs 6,300 would hold, has turned wrong. Below Rs 6,300, the contract looks vulnerable to falls to Rs 5,786 and Rs 5855 which are 200-day moving average and 61.8 per cent Fibonacci retracement support levels respectively. Only a strong rise above Rs 6,300 can avoid this fall and can take the contract up to Rs 6,600. The medium-term outlook has turned bearish with the break below Rs 6,300. Important resistance is at Rs 6,600 which has to be breached for the outlook to turn positive. However, below Rs 6,600, a fall to Rs 5,400 looks possible in the medium-term. The MCX natural gas contract has taken support from the 200-day moving average which is now near Rs 218 and has risen sharply by 6.8 per cent last week. The contract still has further scope on the upside and can rise to test the important and strong resistance at Rs 240. This resistance might not be broken easily and there is a high probability for the contract to come down from this level. This will take the contract lower to Rs 220-210. The medium-term outlook is bullish as the contract is trading in a bull channel for more than a year. The channel support is near Rs 200 which can limit the downside. A rise from this support will have the potential to touch Rs 260-270 on the upside.